Morning... I have used a favourite (unfortunately retired) Stampin Up stamp for today's card... Love the crisp lines and simplicity of it. Paired up with a single bright colour, I think it works. 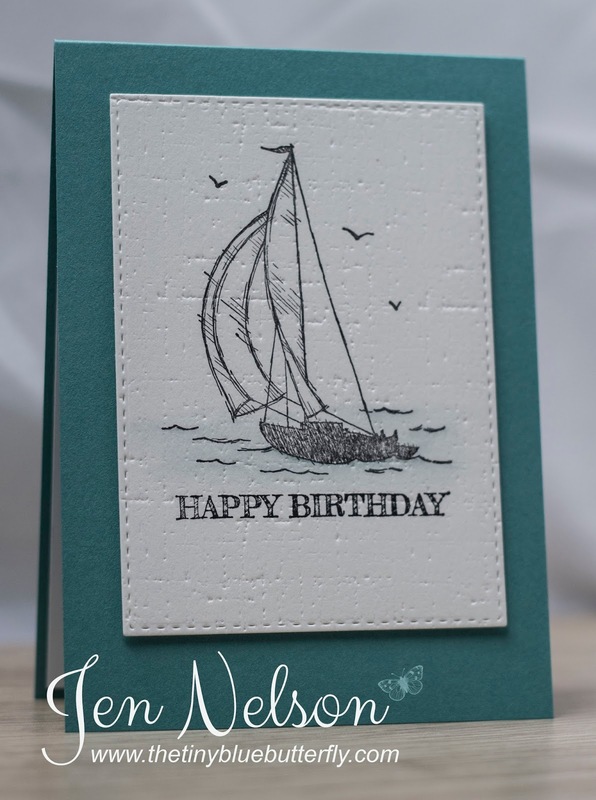 Plus the retired 'Sail Away' stamp from Stampin Up. You Are Tougher... And Crafty Stash Sale!